Lama Fera is a powerful and fastest healing modality, which has been practiced over the centuries in the Buddhist monasteries of the Himalayan region. What Lama Fera wi. . . This healing modality was developed by DR. S.K. SAINI (Lama Fera Originator.) 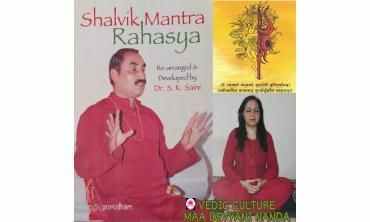 He was an occult researcher, between 1992-1995 he developed Suksham Nadi Tantra Kosh Vigyan. In this s. . .
Bangalore, Karnataka, Ind. . .
" Healing modality from Dimple mam gave me a good learning experience into buddha' s healing method to resolve problems pertaining to daily life. I thank her for imparting this knowledge to me and wish to seek more learning and great experiences from this healing modality. " 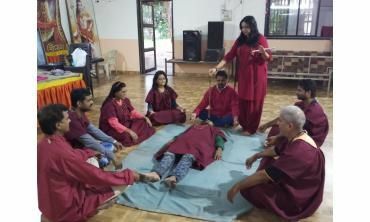 " Learning lamafera healing modal ity from Dimple mam gave me a good learning experience into buddha' s healing method to resolve problems pertaining to daily life. I thank her for imparting this knowledge to me and wish to seek more learning and great experiences from this healing modality." " I have started my spiritual journey with my guru ma Dimple Ji in October 2018 when I have learned lama-fera from her. The way she taught was very easy to understand. The energies were so high and intense. I can't thank her enough from bottom of my heart for changing my life when I was about to give up in every field of life, her positivity and motivation always encouraged me every day. Every time I talk to her, I feel everything will be sorted soon. Gratitude to her for being there for me whenever I need her. I'm so blessed to have her in my life as a Mentor, guru, friend, and Elder sister. May God bless her with all the happiness to her and her loved ones. Lots of love and regards Shalini"